January is now history and February is full of optimism and great expectations. Today, the Anne G. Broady Scholarship Fund campaign is officially closed. And, we are so pleased to experience the exhilaration of victory. It is with “humble but reasonable confidence” we reached our goal on schedule. Well, actually we have exceeded our goal and there are still funds being reported as “on the way”. Although the campaign is officially closed, we continue to welcome additional financial support. The goal $1,500.00 is the minimum goal set to assist those families unable to cover the full cost of the yearly tuition for the Copey Learning Center. Your support will be well used. This is our 6th year providing scholarships and we have seen the results. Six of the students have been the worthy recipients of the trip to America under the “Pathway Project”. While visiting America, the students have spent quality time with several “Friends” and “Friends” share my assessment that these students have done very well learning English at the Copey Learning Center. We continue to be impressed with the proficiency acquired and convinced “our support is making a huge difference”. The great news continues as we report steady progress towards our EDSS goal of $2,000.00. I predict this goal will be achieved well ahead of the deadline if the responses continue. I am already impressed with the responses to date. We are currently at 65% of our goal…remarkable! We all know very little good happens when there is no leadership or leadership that is not competent leading the way. To progress, to improve, and to sustain the gains being made, there must be leadership equipped to meet the extraordinary challenges of rural education in a very small community with significant economic and cultural issues. 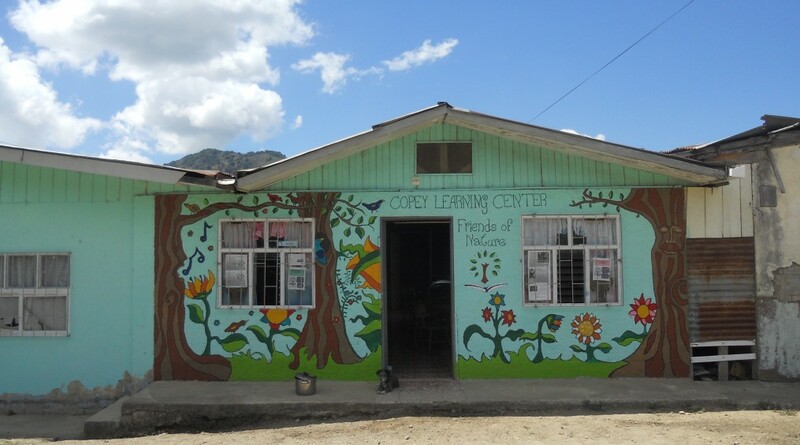 This alone I believe sets the Copey Learning Center apart from similar rural communities, especially in Costa Rica and countries with the same issues. Our support provides the Copey Learning Center sustainability and continuity other communities seem not to have and struggle to obtain. “Again…we are making a huge difference!”. I hear about isolated cases where a few donors are having trouble with the Copey Learning Center’s PayPal donation system. I have reported this but I am not sure if there is an explanation or the resources to address some of the trouble. Whenever a donor has reported a problem to me, we have assisted and things have worked out. If you are having any problems with the Copey Learning Center PayPal system, do not be discouraged. Send me a note and we can work out a solution.